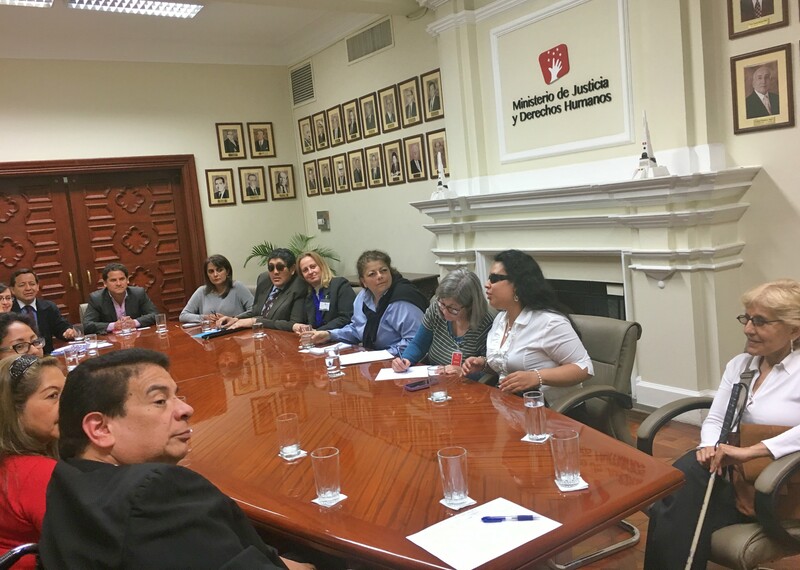 Setting up a Legal Clinic for People with Disabilities | Global Disability RightsNow! Most people with disabilities and most families with children with disabilities around the world, including in the United States, do not have access to legal advice from trained lawyers about disability-related matters. This is for several reasons: For example, people with disabilities and their families generally do not have a lot of money, and there are often not enough trained lawyers who know about disability rights. Setting up a legal clinic can help get legal advice to many more individuals with disabilities. A legal clinic expands access to legal advice and information by relying on trained non-lawyer advocates (such as law students) to interview clients. The advocates are supervised by disability rights lawyers. The lawyers provide the legal advice. Some legal clinics schedule appointments ahead of time. Some are “drop in," so people can show up without an appointment. Some clinics are both. The non-lawyer advocates are trained about disability rights basics and about how to interview clients. They are supervised by a disability rights lawyer and are required to maintain the same level of confidentiality and professionalism as a lawyer. They interview the client and meet with the lawyer about the client’s problem. These non-lawyer advocates may be law students. The disability rights lawyer supervises the non-lawyer advocates. The lawyer provides the legal advice, information, and referrals that are provided to the client. Usually, the lawyer does not meet directly with the client. This allows the clinic to serve many more people than it could if the volunteer lawyers met with each individual. The clients are individuals with disabilities or families with children with disabilities who need legal advice for a disability-related problem. The problem may be about education, government services, employment, housing, a business, family law, or another topic. Without the clinic, the clients would be unable to obtain legal advice or learn about their rights. The client arrives at the clinic and signs in with the clinic administrator. The administrator directs the client to meet with a trained, non-lawyer advocate. The non-lawyer advocate meets one-on-one with the client and interviews them about their disability-related legal problems using structured questions. The advocate writes down all of the important information on an intake form. Don’t forget who the client is: the individual with a disability. The client is not the family member, spouse, or friend. The only exceptions are if the individual with the disability is a minor child, or if the individual with the disability is unable to express their wishes, even with reasonable accommodation. The non-lawyer advocate leaves the client and goes to a separate room to meet with the supervising lawyer. The advocate presents the problem to the supervising lawyer. The supervising lawyer analyzes the problem and states all of the legal advice, information, and referrals to give to the client. The advocate listens to the lawyer and writes down all of the advice and information for the client on the intake form. The advocate repeats back all of the advice and information, so that the lawyer can check that everything is clear and correct. The non-lawyer advocate goes back to meet with the client again and provides them with all of the advice and information from the lawyer. If necessary, the advocate provides the information in writing on a piece of paper or in an email. Once the advice and information is provided, the advocate or the clinic administrator escorts the client out. The advocate writes down on the intake form what the advice was and that it was given to the client. The advocate files the form so that it can be found again if the client returns. NOTE: Lawyers are required to follow certain rules about the practice of law and interactions with clients. These rules vary from country to country and even in the U.S. from state to state and may affect the procedures for a legal clinic. The sponsor of the legal clinic should check with the bar association and other experts to make sure that the clinic procedures are in compliance with these rules. What happens if the legal clinic identifies an important case? At the same time, the legal clinic should manage expectations, and make sure that all clients know that they will receive legal advice, information, and referrals--but that they should not expect to get a lawyer to bring their case to court. And the clinic should be sensitive to the fact that not every client with an important case will want to go to court or be in the newspaper--everyone including the client has to agree. Make sure the intake form is as completely filled out as possible. Gathering the intake information will help you determine what laws might apply to a particular situation and what options are available to the client. Start open-ended, then narrow it down> Get an overview of the client’s issue by asking an open-ended question, such as “What brings you here today?” After you learn about the client’s issue, it’s important to get the details: ask who, what, when, where, and why. Don’t forget to ask when things happened. Timing can shed light on important issues, such as whether there might be a causal link between events or whether there is an upcoming deadline. Don’t forget to ask whether there are any documents. Documents can help fill in dates and facts. Documents are also often the most persuasive piece of evidence in a legal matter. Ask the client to be specific. If a client says they were harassed or discriminated against, ask what happened. A client’s definition of harassment or discrimination may not be the same as the legal definition of these terms. Make sure the intake is filed properly according to the clinic’s filing system. If the clinic uses a computer database, make sure the data is entered promptly. NOTE: If there is an expensive access need that costs more than the legal clinic can spend, it may be possible for the sponsor of the legal clinic to apply for a grant. A written manual that reviews and summarizes all relevant laws, procedures, and remedies available to individuals with disabilities. Factsheets answering common questions written in plain language for the public. These can be handed out or emailed. They can also be Brailled. Some clinics also create videos in sign language for deaf clients that give information about legal rights. For common problems, clinics may develop forms or sample letters that can be used by clients. For example, the clinic may develop a form that can be filled out by the client to make a complaint or to request a reasonable accommodation. Some clinics enter all clients into a computer database so that their information can be pulled up later and so that trends can be analyzed. Legal clinics may create lectures, videos, or written materials to educate the public about the rights, needs, and abilities of people with disabilities. See attached document below for more information on Workers' Rights.